I LOVE halloween so I'll be doing halloween nails every other day or so. 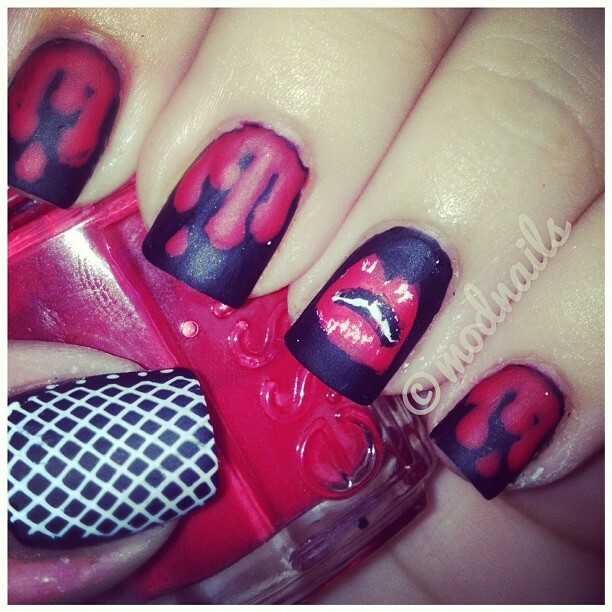 These are inspired by the rocky horror picture show, one of my all time favorite movies. Just by looking at the picture again I'm already singing time warp. The matte effect was done using Essie's "Matte About You"
I love these! The matte finish is really cool and you have all the elements to totally represent Rocky Horror style.